The Hillside Village of De Soto community offers personalized Assisted Living and Skilled Nursing options for seniors. Hillside Village of De Soto, situated in a quiet residential neighborhood, is conveniently located just minutes from Lawrence and the Kansas City area. We offer 38 Assisted Living apartments with several floor plans and 49 Skilled Nursing beds, all of which are Medicare certified, and accept Medicaid for all three KanCare providers. Our partner, Genesis Rehab Services, provides onsite physical, occupational and speech therapy and is available six days a week. We are locally owned and operated with owners onsite daily. We have been awarded the Five-Star Quality rating by Medicaid which CMS created to help consumers, their families and caregivers compare nursing homes more easily and to help identify areas about which you may want to ask questions. The Nursing Home Compare website features a quality rating system that gives each nursing home a rating of between 1 and 5 stars. Nursing homes with 5 stars are considered to have much above average quality. Because of our Five-Star Quality rating we are in the top 10% of Kansas nursing home communities. Hillside Village assisted living residence adjoins the skilled nursing communityThe assisted living features 38 apartments ranging from studios to spacious one bedroom suites. Our assisted living options will provide residents with the ability to be independent, but receive assistance when needed, while still maintaining dignity and respect with all the comfort of home. Community features include multipurpose areas for social and recreational activities, large screen TV for games & movie night in both the living room area and dining area, comfortable settings for games & cards, hair salon, library, large lobby & reception area, attractive dining area, off-street parking and free laundry facilities. 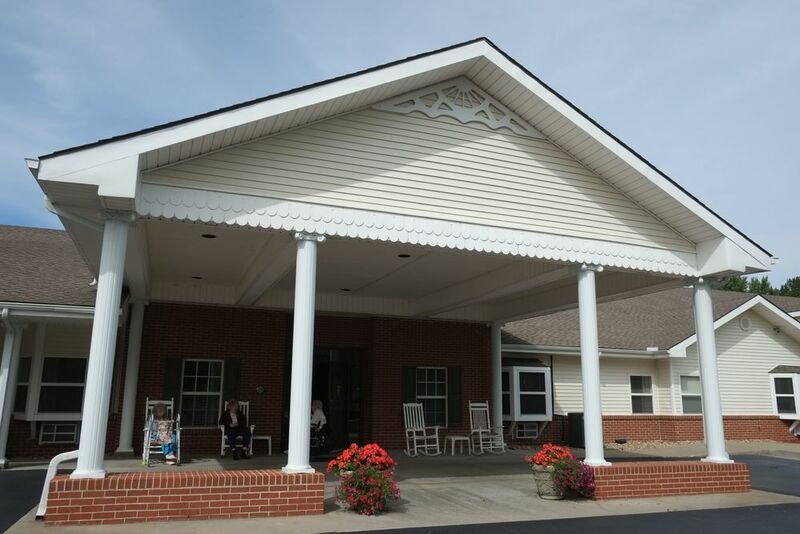 Hillside Village has dedicated facilities for skilled nursing care and rehabilitation. In addition to our staff of certified professionals, residents benefit from amenities like a multipurpose room for social and recreationalactivities and a full service beauty/barber shop. Private, semi-private and deluxe semi-private accommodations are available. Hillside Village offers in-house therapy services and accepts move-ins seven days a week. Hillside Village is Medicare certified. Hillside Village has something for everyone and with our dedicated staff available 24 hours a day; you'll rest easy knowing we can meet your every need. We invite you to come experience exceptional senior living at Hillside Village of De Soto today.